The Competition Tribunal has confirmed as orders three consent settlement agreements with the SABC, Primedia and Ster-Kinekor. 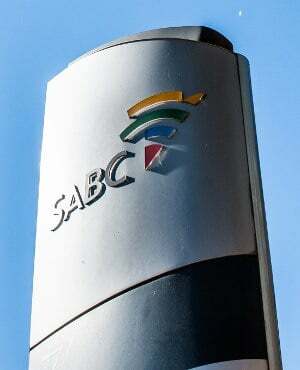 In a statement, the Competition Commission said the three media companies admitted to being involved in price fixing and the "fixing of trade conditions in contravention of the Competition Act". In terms of the settlement agreements, the SABC will pay an administrative penalty of over R31.8m and provide 25% bonus advertising space for every rand of advertising space bought by qualifying small agencies over a period of three years, capped at R40m annually. They will further contribute over R17.7m to the Economic Development Fund (EDF) over a period of three years. Primedia will pay an administrative penalty of over R9.6m and provide 25% bonus advertising space for every rand of advertising space bought by qualifying small agencies over a period of three years, capped at R24m annually. The company will also contribute some R3.4m to the EDF over three years. Ster-Kinekor will pay a fine of just under R437 000, and will provide 25% bonus advertising space bought by qualifying small agencies over three years, capped at R1m annually. The company will contribute just over R157 000 to the EDF over three years. The case relates to an investigation initiated in November 2011, the Competition Commission said, which found that, through the Media Credit Co-Ordinators (MCC), various media companies agreed to offer similar discounts and payment terms to advertising agencies that place advertisements with MCC members. Furthermore, the Commission’s investigation found that the implicated companies employed services of an intermediary company called Corex to perform risk assessments on advertising agencies, for the purposes of imposing a settlement discount and terms on advertising agencies. "The Commission found that the practices restricted competition among the competing companies as they did not independently determine the discounts and thereby fixed the price and trading terms in contravention of the Competition Act," the Commission said in a statement.